In laser skin resurfacing a laser is used to remove areas of damaged or wrinkled skin, age spots, acne scars, skin blemishes and hyper-pigmentation layer by layer. We are at the cutting edge of new technologies, working to deliver safe and effective treatments with the best possible outcomes for our patients. 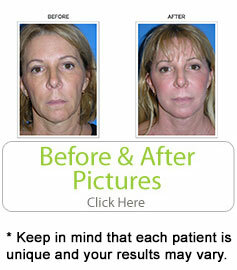 We have a wide variety of treatment options to customize the results based on individual needs. The deeper the laser resurfacing treatment, the better the potential results but the longer the recovery. Patients can expect to see improvements within a few days after the first session. It is important to note that the overall effect will occur gradually over time. Fraxel treatment is a revolutionary laser treatment that can help you remove years from your appearance and regain a more youthful look. Whether you have acne scars, stretch marks, sun damage, wrinkles or other signs of age, Fraxel treatment delivers remarkable results with fast recovery. You can quickly return to work or other activities with renewed skin and renewed confidence. The range of Fraxel treatments vary in aggressiveness, downtime, number of procedures needed. Fraxel restore can produce significant results for mild to moderately damaged skin over the course of 3 to 6 treatments one month apart. When considering which treatment option is best for you, we will discuss the trade-off between downtime and results to determine the best option that fits your skin condition and your lifestyle. Fraxel restore can resurface damaged skin and uncover the skin of your youth all with minimal impact on your daily routine. What it treats: wrinkles around the eyes, acne scars, surgical scars, age spots/sunspots, melasma and Actinic Keratoses. Downtime: Most return to regular activities within a day or two. The new Fractional CO2 technology is what many doctors are calling the antiaging breakthrough of the decade. This skin-resurfacing combines the effectiveness of traditional CO2 — long thought to be the gold standard in wrinkle removal — with a new technology, delivering powerful results without the traditionally harsh side effects. With one treatment you will notice a significant improvement but some patients depending on the severity of the condition may decide to retreat 1 year later. Many of our patients get this procedure in combination with a facelift for the ultimate facial rejuvenation. How does it work? The natural aging process, combined with exposure to sun, pollution and other extrinsic factors destroy collagen — the main protein of connective tissue that keeps skin plump and line-free. Laser resurfacing uses beams of energy light to bore tiny holes in the skin, which works to stimulate the production collagen. With the new Fractional CO2 laser resurfacing we can achieve this in a way that prevents damage to the top layer of skin, offering maximum results with much less discomfort and recovery time. You should continue to see improvements for 6 months and the effects are thought to last eight to 10 years. All of this is usually done with 1 treatment. What it treats: moderate to severe facial wrinkles, acne scars, age spots/sunspots, tightens the skin. Downtime: Most return to regular activities within one week. For more information on this procedure contact Dr. Salomon’s Miami office today at (305) 270-1361 or email us.